Today is the last day to save money with printable coupon at Jockey stores or online on the official website with promo code. Take $10 off your purchase of $50 or more. 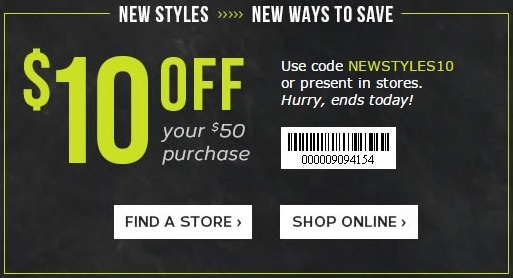 To receive the offer online use promo code NEWSTYLES10. Source of the information is Jockey. Hurry up, offer ends today, January 10, 2016. For more details visit your nearest store or official website.